I’ve lately been liking this line from Physician’s Formula lately and I’ll be posting up the blush review later since I got the blush and bronzer in a two-pack. Description: Infused with Happy Boost blend made with plant extracts to mimic endorphins to make you happier. The scent of violets will uplift your day and keep you in a field of happiness. Review: I bet the packaging department was having a field day when they got the ideas for this product. 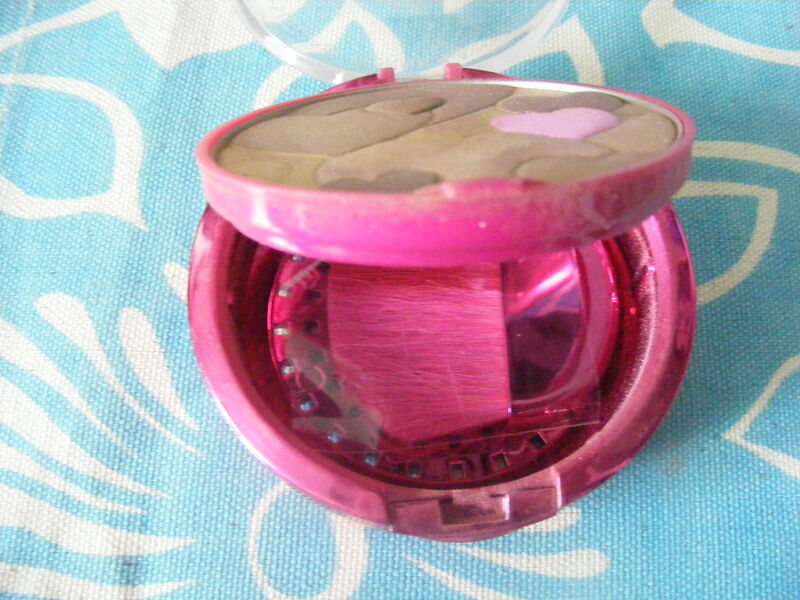 It has bright pink exterior with heart designs pressed into the bronzer itself. 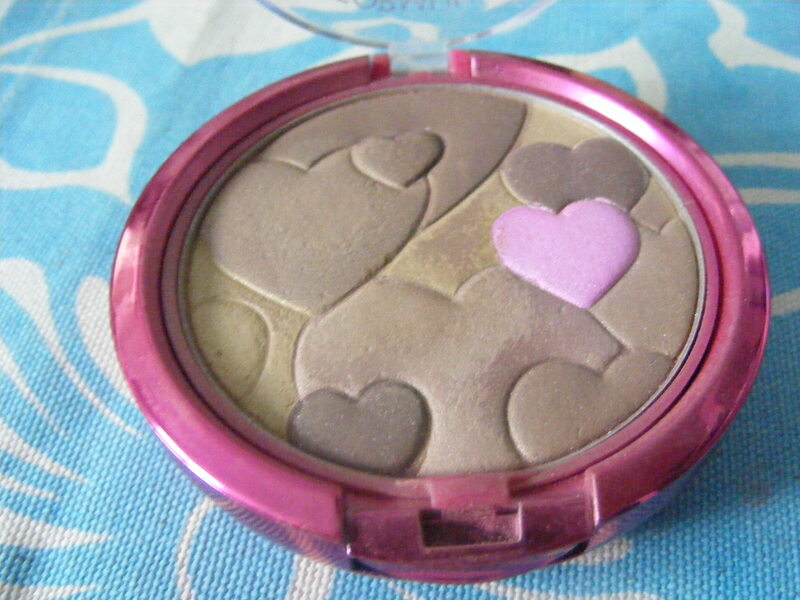 The bronzer has a great heart design and the scent of violets is a nice touch and not too strong but I don’t think it makes me any happy using it… it’s still a nice bronzer though. 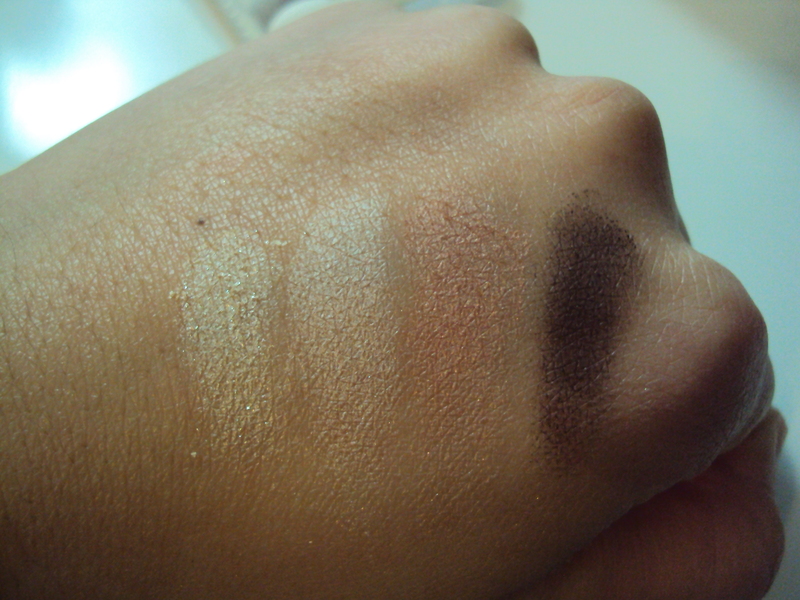 I found that some of the shades were very dense but some of the other shades were not as dense. 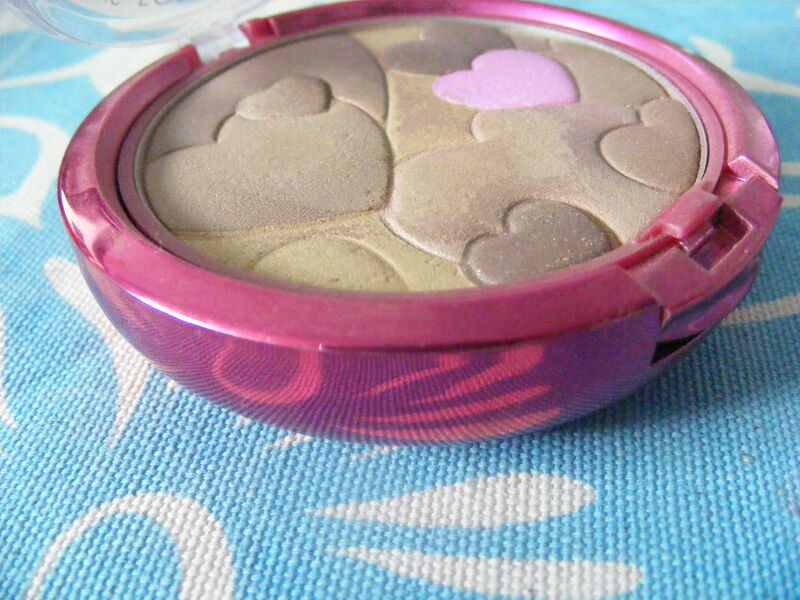 For example the pink heart is not dense and I could see an major indent the more I used the bronzer but the rest of the bronzer I found difficulty getting product out of the pan. 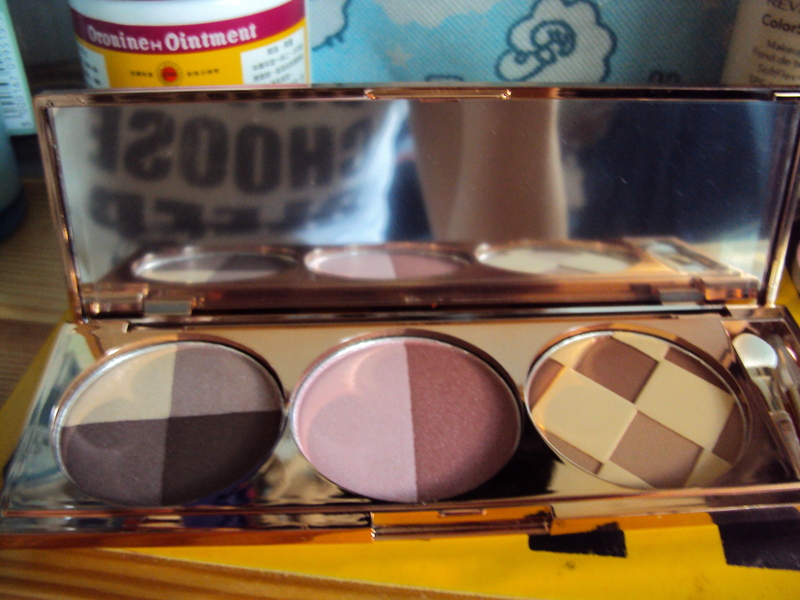 I don’t know if the brown shades were packed in more dense but it didn’t blend as smoothly or gather a nice mix of the product. 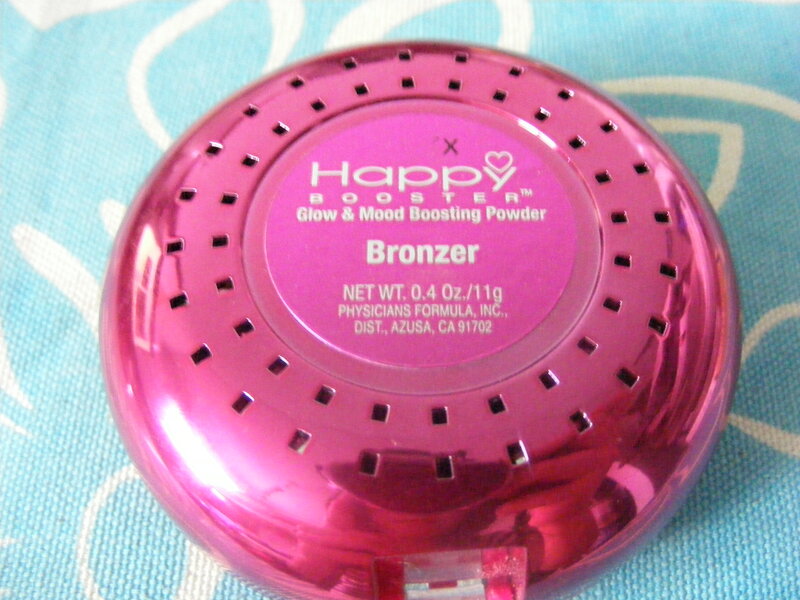 Don’t get me wrong the product is pigmented but just the way to apply this bronzer is very difficult. 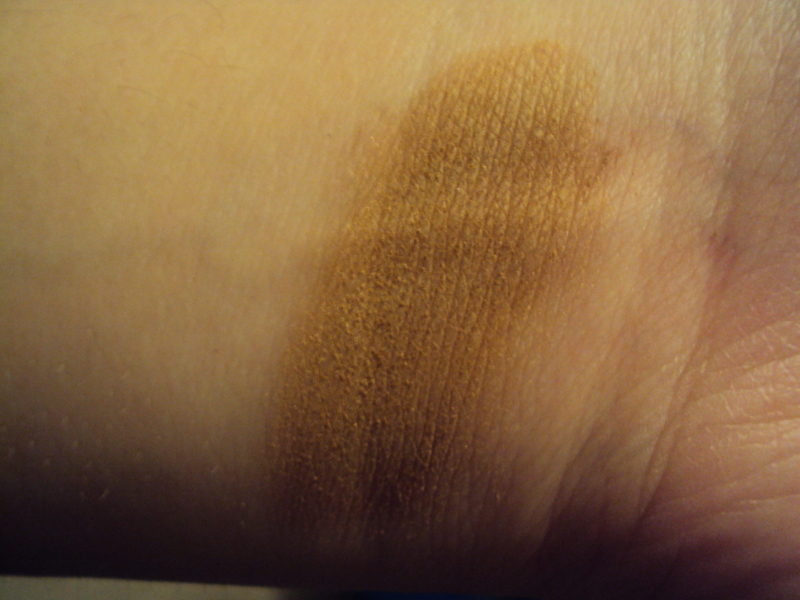 The shade is very muddy nice as a contour but I don’t think that this bronzer is going to work with all different types of skintones. Overall, I think the shade is a nice bronzing shade but due to the texture and the awkward mix of shades I wouldn’t recommend this. 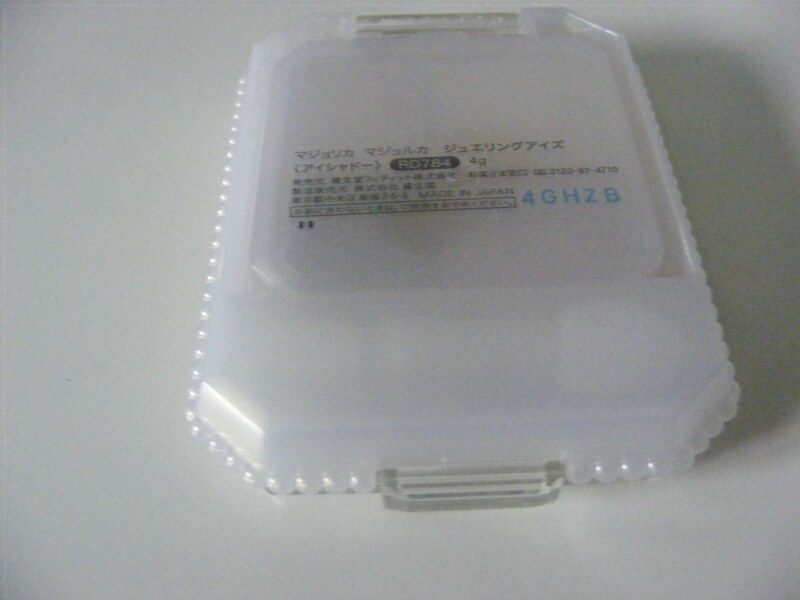 Would I recommend this product? I would recommend this for those who love nice designs and cute packaging but I won’t repurchase this or recommend it based on the product itself. Hello everyone! 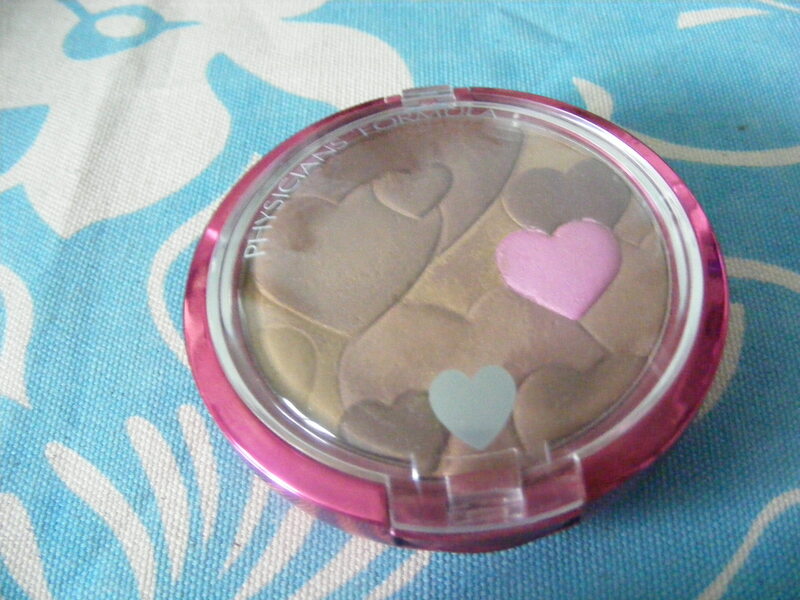 A Too Faced product review today… one of two (ahah I only have two Too Faced products). Hopefully this review is helpful. 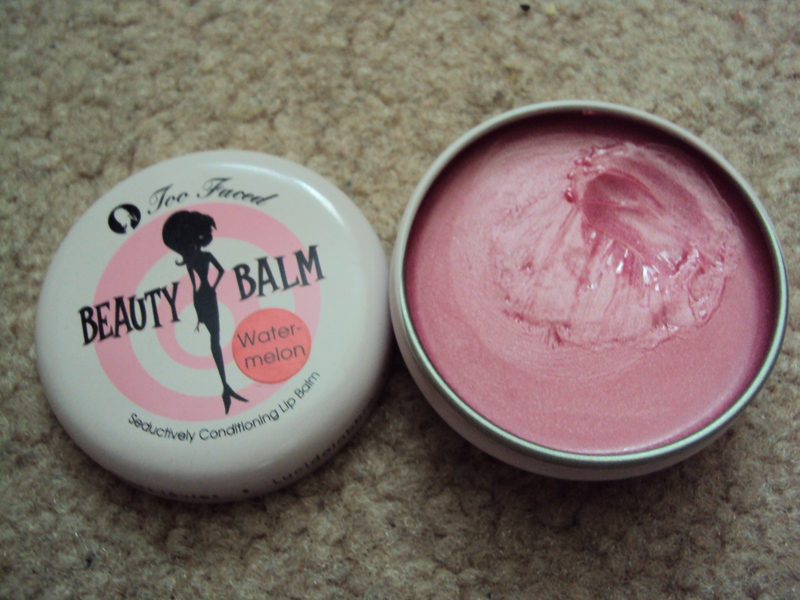 Review: This is a tinted lip balm essentially in a pot format. 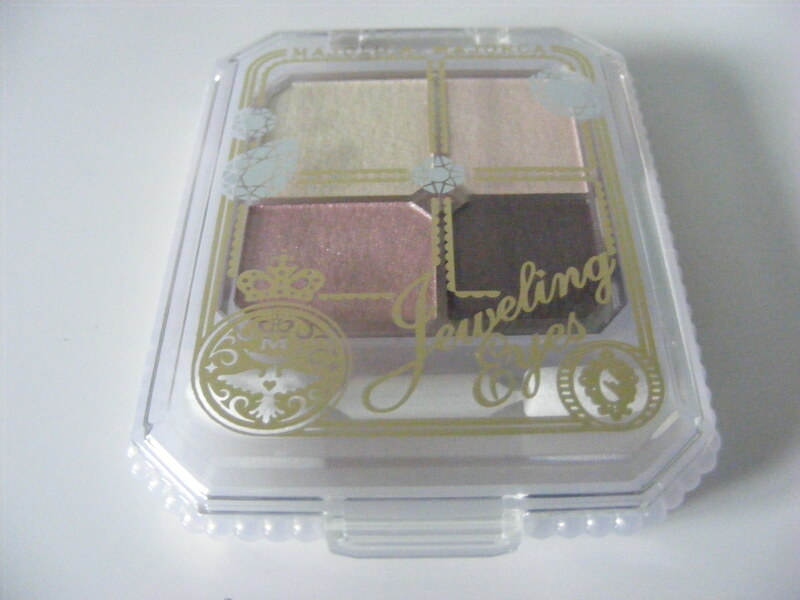 Too Faced is known for their cute and vintage packaging and this does not disappoint it’s so cute! 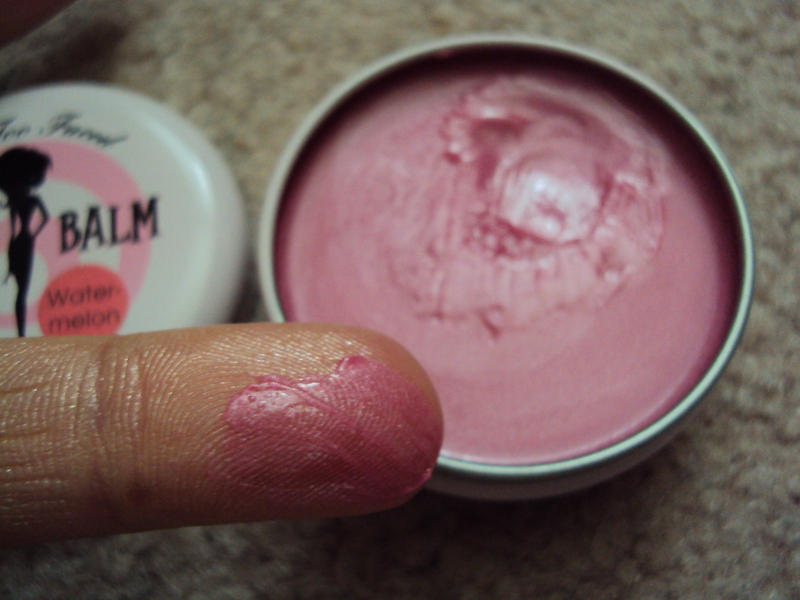 I dislike dipping my fingers into products but I make an exception for this as the color gives the lips a nice flush of color (rosey pink on the lips with shimmer). It is extremely moisturizing and wear for quite some time (approximately 3-4 hours without eating and drinking). 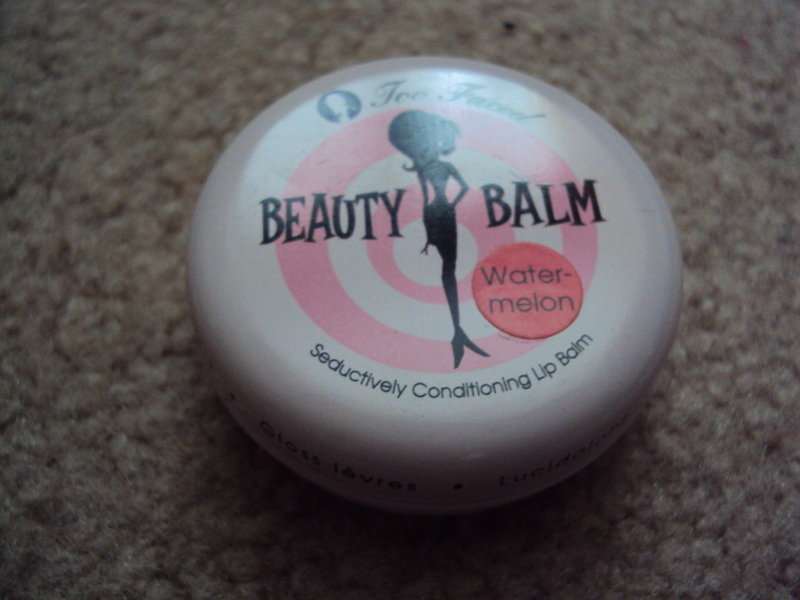 The batch that I got somehow does not smell nor taste like Watermelon that I was expecting instead it has a scent of burnt plastic mixed with a bit of watermelon. 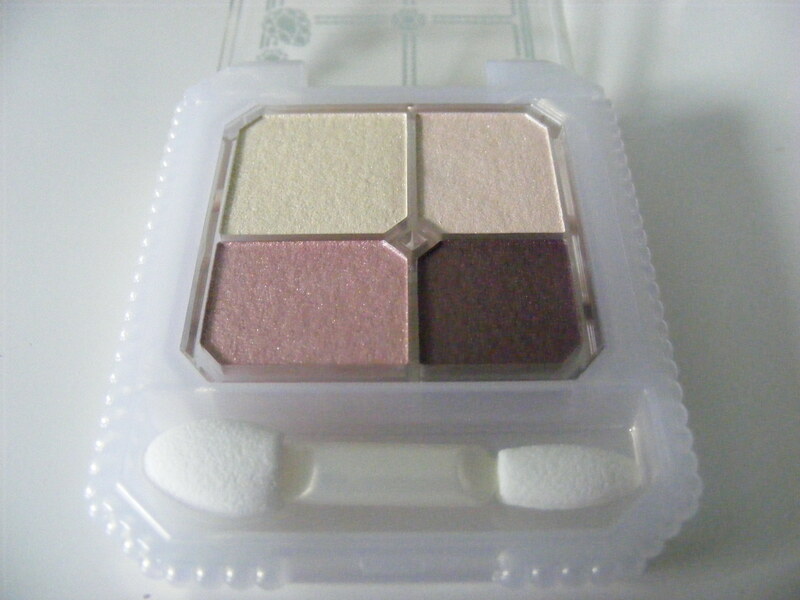 Another unfortunate thing is that these are not available instore nor does it exist on Too Faced’s site thus you can either purchase it off allcosmeticswholesale.com or any other online store. Which means shipping costs is going to jack the price up from the usual $11 or not. Would I recommend this product? I would recommend this product for those who are willing to purchase this item online but for those who aren’t willing to pay for ridiculous shipping prices or are germ-o-phobes then it’s not a product that you need to get. I have never done a post of shoes before so I recently got new shoes and a question popped up. Would you wear uncomfortable shoes if they were cute? 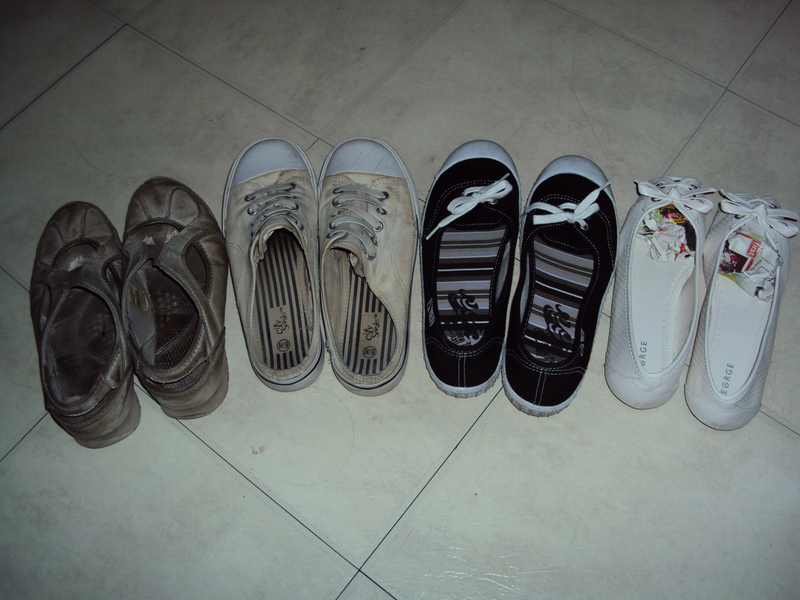 I am a very picky shopper when it comes to clothes and shoes… sorry if it is a bad thing. >.< But I picked up two pairs of shoes from Walmart (hooray for cheap but cute shoes) and they are both very cute. Don’t they remind you of duck feet? It may look slim… but it’s not photography can be quite deceiving. Hopefully I will do another post of feet types and shapes… but putting that aside because my feet resembles a duck’s feet I always have difficulty finding shoes that are comfortable. My parents won’t let me venture in the realm of heels so heels are always out of question when it comes to shoe shopping (but I will get myself a pair of heels soon hopefully >.< fingers crossed!). With any kind of shoes I am always trying to squash my feet into a pair of nice shoes and it hurts like heck!! So from trial and error I have come up with ways of coping with the pain. 2. Break in the shoes – This for me takes about 10 days of wear… of course not consecutively as I wouldn’t want blisters popping and more blisters forming for the 10 days I switch on and off. 3. For the rubbing shoe burning feeling – I put on crushed aspirin on the blister or rubbed spot and it would calm down. 4. For stretching the shoe – To make that break in faster for the shoes I put on the thickest pair of socks that I own and mash my foot into the shoe (uncomfortable I know) and it will stretch the shoe out more quickly and reduce the amount of days trying to break in the shoe. 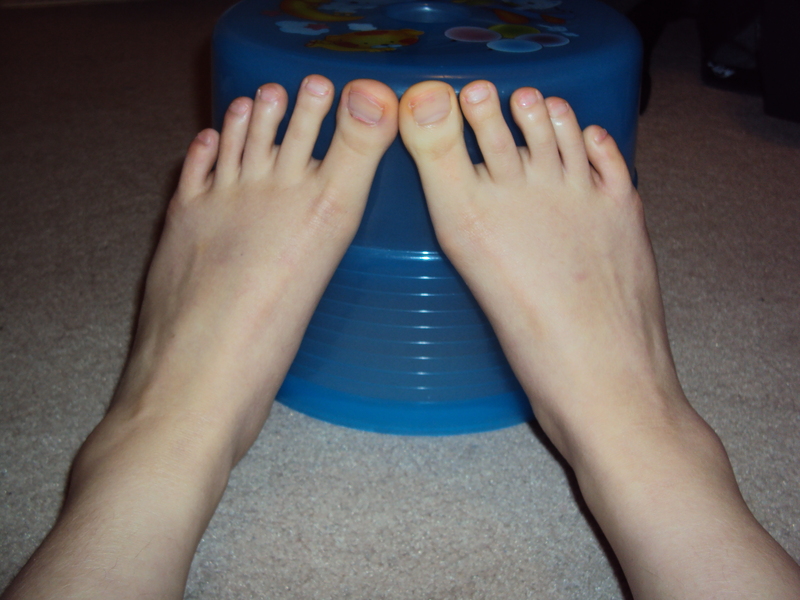 Well, those are my tips… I will most likely post up more things about feet since they play such an important role in our daily lives and function.